Despite the unseasonably warm weather, the most wonderful time of the year is almost here. And that's good news for Old Worthington, a place where the holidays are always magical. Maybe you've never experienced Old Worthington during the holidays. Or perhaps you look forward to it year after year. Either way, there are several events you don't want to miss. So round up your friends and family and make sure a visit to Old Worthington is on your holiday to-do list. Here are a few things to add to your calendar. It's A Wonderful Window Contest – Old Worthington’s second annual window display competition kicks off on November 27 and runs until December 26. Enjoy a beautiful stroll down High Street while you admire the elaborate displays, and then cast a vote for your favorite one. With 24 merchants sponsoring 32 different charities, you’ll want to vote for all of them – and you can! $1 = 1 vote and you may vote as many times as you want. The best part? All of the money collected at each merchant goes directly to the charity they’re sponsoring. Save your money and skip the trip to Rockefeller Plaza this year. Instead, gather the kids and head over to Worthington's annual Tree Illumination Ceremony. The event, which takes place on the Southeast Village Green, features an ice-carving demonstration at 4:30 p.m., live reindeer, a caroling performance by Capriccio of Columbus at 5 p.m. and an appearance from Santa Claus to light the tree at 5:30 p.m.
During this magical, luminary-lit evening, High Street comes alive while folks shop, dine and enjoy live holiday music. 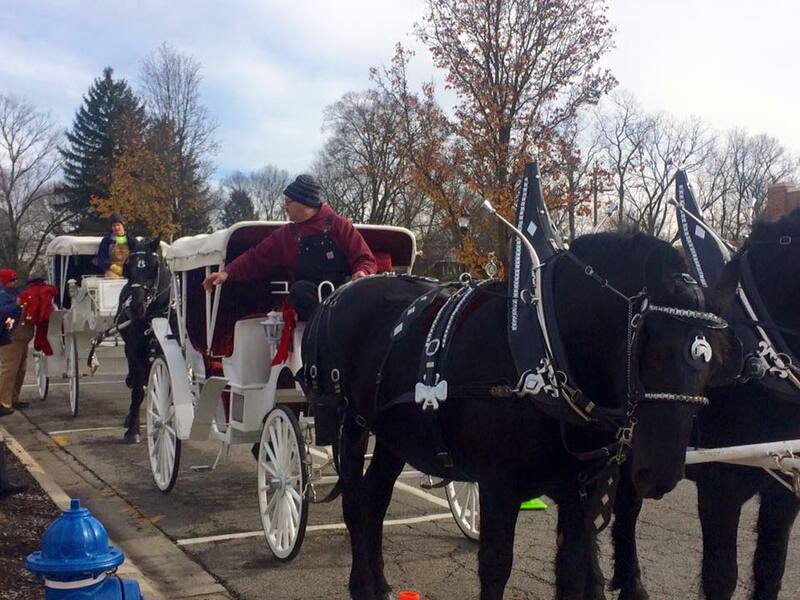 Perfect for a date night or an evening out with friends, the Illuminating Shopping event is an opportunity to try a new restaurant, experience a horse-drawn carriage ride throughout Old Worthington and enjoy extended hours, special sales and in-house treats at all of your favorite boutiques. 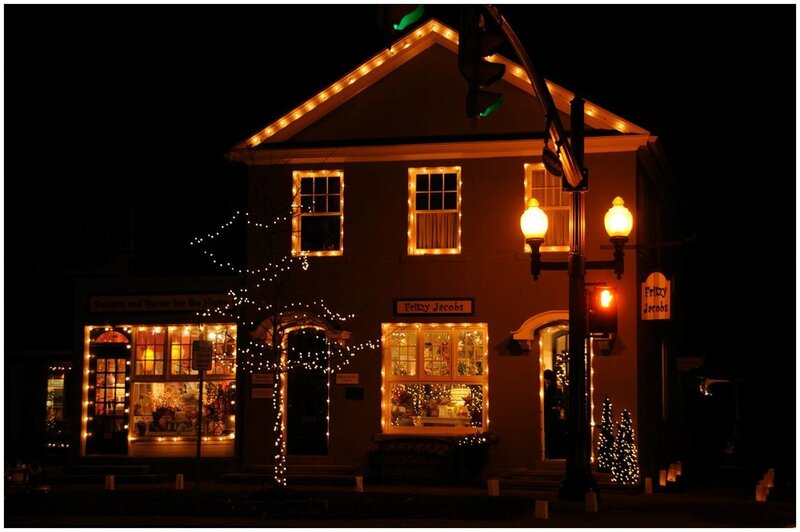 * In addition, Old Worthington merchants will stay open until 9 p.m. for luminary-lit shopping every Thursday evening in December. The Old Rectory Doll Museum is featuring a playful exhibit of original Steiff Christmas decorations and dolls. Step back in time as you view these classic stuffed animals, including a one-of-a-kind Santa sleigh and reindeer set, elves, Frosty the Snowman, Rudolph the Red-Nosed Reindeer and so much more. The Old Rectory Doll Museum is open Tuesday through Friday from 1 to 4 p.m. and Saturday from 10 a.m. to 2 p.m. This fun-filled adaptation of Dickens' A Christmas Carol features famous fairy tale characters like Cinderella, Price Charming and Hansel and Gretel taking on the memorable roles in this timeless story. Watch as Ebenezer Scrooge, played by the Big Bad Wolf, encounters the Ghosts of Christmas Past, Present, and Future (played by a Fairy Godmother, Old King Cole and the Queen of Hearts) in this family-friendly show. The performance, which is part of the Worthington Community Theater, will take place at the Peggy R. McConnell Arts Center. Don't miss this popular show, which sells out quickly every year. Watch Mark Frye and Tony Alfano (known for their role as members of the popular Phil Dirt and the Dozers band) dazzle the audience with a memorable performance of musical hits from the great American songbook and holiday favorites from the 1960s. Think Frank Sinatra, Nat King Cole and Dean Martin!